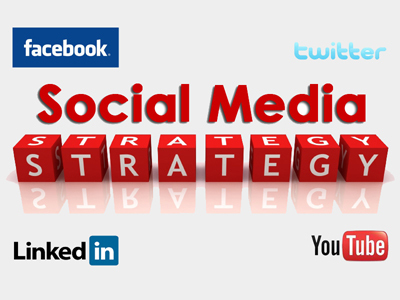 Why Have a Social Media Strategy? Social media isn’t a fad. Certain social sites may well turn out to be a fad and become an irrelevance in the longer term, but betting the farm on social media collapsing isn’t a strategy that anyone interested in business success is going to consider.If your business doesn’t have a social media strategy, then you’re missing a huge number of opportunities. Social media isn’t going to 100% replace traditional marketing avenues, but it is certainly something you should be doing.Why do you need a social media strategy?Where the Action Is Social media is where your audience is. This is true for almost every business, except perhaps those selling goods and services to the elderly. At the same time, those businesses will make a lot of money from younger relatives of that market, so even those in this sector you should use it.If someone is following you on social media, it’s because they want to know more about you and more about what you do. Using social media, if only on Twitter and Facebook alone, gives you the opportunity to market yourself to an audience that you know is interested in you. Where else are you assured of that?People Buy People Yes, this is an oft-used cliché, but it remains true. People buy from people or businesses that they like. If you’re taking the time to build a rapport with your customers, then you’ll be rewarded over time with loyalty, word of mouth marketing and recommendations, and improved profits.Cost Effective Marketing Marketing is an expensive outlay for a business, and doesn’t guarantee success. If your social media strategy doesn’t bring the results you’re hoping for, at least you won’t have spent a large portion of your expenditure budget on finding out, which might be the case when you take out an advert in the newspaper or advertise on local radio.Yes, you’ll make a time investment, but this pales in comparison to the sums you might otherwise spend.Recommendations Work Social media is the best place for people to tell others they love your business, whether that is through a like, a retweet, a re-pin, or another social share. People will connect with you based on a recommendation far quicker than they will if you simply spend time promoting yourself.If you haven’t developed a social media strategy yet, now is the time to do so. If you wait any longer, you’re likely to be too far behind your competitors who have already embraced social media, and be in a position where it is extremely difficult to catch up.